TheWeddingLens.com has partnered with VanillaGreen and SnapABug to update their site, delivering improved customer interaction and navigation. With live chat support and a streamlined website, The Wedding Lens is providing couples with the premiere solution for wedding photo sharing. One of our core values is helping couples collect the most wedding memories they can. That means we strive to make it easy for friends and family to use. 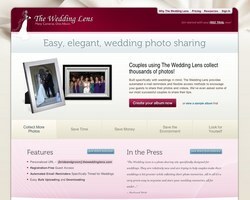 The Wedding Lens continues its lead of the wedding photo sharing market with improvements to its website. Working with award-winning web designer, Brad Mahaffey of VanillaGreen, The Wedding Lens has refreshed its look to improve the overall readability and usability of the service. In addition, the team has partnered with SnapABug to provide live chat support, enabling improved customer service and real-time feedback. TheWeddingLens.com, founded in 2008, allows groups to upload photos and videos to a single location without having to register. Recognized for their customer service and ease-of-use, the site has collected over 345,000 wedding photos since its launch. The Wedding Lens’s albums range between $8 and $10 a month for a variety of options and term lengths. 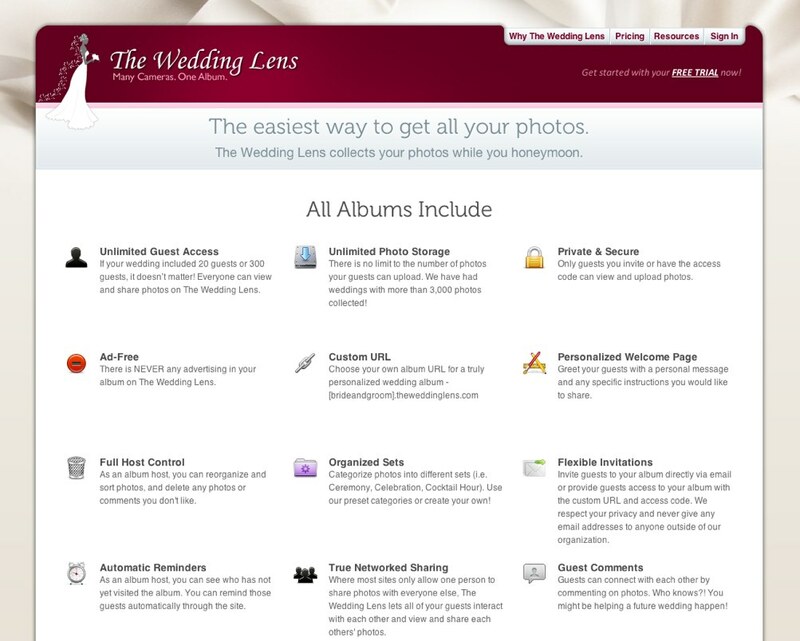 Users can register for a two-week free trial by visiting the site at theweddinglens.com. SnapABug (Huntsville, AL) is a product of TimZon, a privately held startup founded by Jerome Breche and Jerome Mouton. The SnapABug Help and Live Chat widget reduces companies’ support and pre-sale cycles. SnapABug can easily be embedded on any website and provides all the information necessary to efficiently assist visitors, including a snapshot of the remote visitor's webpage. SnapABug also lets you chat with your website visitors while they browse, and does all this with no software install. TheWeddingLens.com, a property of Two-Bit Operation LLC, is a group photo-sharing site designed specifically for weddings. Since its founding in 2008, almost 2000 couples have used The Wedding Lens to collect over 345,000 wedding photos. The site provides an elegant design and hassle-free interface to allow wedding guests to upload and share every moment of a couple’s special day. In addition to personalized URLs and customizable welcome pages, The Wedding Lens supports bulk uploading and downloading of full-resolution photos with simple, registration-free guest access.